Ginny grew up on a farm near Hicksville, on Long Island, New York. She heard about the famous pilots flying into the nearby airport - Amelia Earhart, Wiley Post, Anne and Charles Lindbergh. She was inspired by them - who could guess that, in a few more years, she would inspire others, including this writer. She decided to fly and joined the Long Island AirHoppers Gliding and Soaring Club whose members flew weekends from a vacant lot behind the family farm. Soon she was running wing tips and hooking up tow lines. 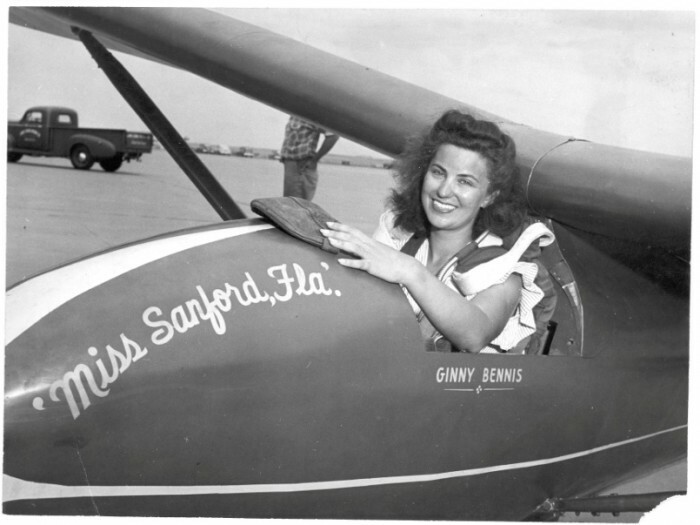 Next she started lessons in a single-seat Franklin utility glider. Single seat training was the norm in those days. The first flight was also the first solo. Early flights were straight ahead with the instructor sitting on the flat top tow vehicle, facing the student and directing with hand signals while making sure the tow car driver used appropriate speeds for the conditions. As the student progressed, they were allowed to let the glider gain a little altitude - then enough to make a turn - eventually a complete turn. In 1941 the club moved to a more formal operation at the Helms Farm which later became Wurtsboro Airport in New York. Now Ginny was flying the Franklin and G”ppingen 1 Wolf with auto, auto pulley and winch tows and learning soaring techniques by exploring the ridge and catching thermals in the gullies when possible to attain higher altitudes. The club decided to put on a "Keep 'Em Flying campaign and one Sunday in that December, Ginny was keeping the logs of the meet when word came about the attack on Pearl Harbor. Flying was over for her and others for the duration. She went to work for Grumman and later Republic Aircraft as her part in the war effort. However, she kept memories of soaring alive by maintaining a newsletter among the club members. When flying resumed after the war, Ginny could soar again. 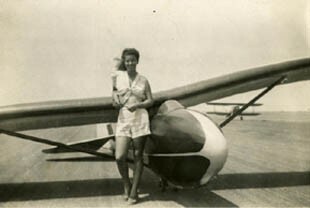 She went to the Schweizer Glider factory in Elmira, NY, had her first aero tow in a single seat Kirby Kite behind a Stearman and earned her commercial license on that flight. Now, under the rules of the day, she could instruct. However, soaring in the northeast was seasonal so Ginny and partner Steve Bennis decided to open a winter operation in Florida. With war surplus aircraft now available, Steve and Ginny built their inventory from their Franklin and Kirby Kite to war surplus trainers - Pratt-Read and Laister-Kaufmann and a Stearman tow plane. This business became one of the first commercial soaring operations and the first GI approved soaring flight training school in the United States. In addition to her duties instructing, giving aero tow checkouts and introducing students to soaring techniques, Ginny took time to fly in competition. She set many women's records and became the National Women's Champion in the 1947 Wichita Falls contest. There were several women competing in those days so the prize was often hotly contested. Also in 1947, she became the first American woman to complete the Silver badge. Unfortunately, in 1948 a student of Ginny's froze on the controls. Ginny could not overpower him and was badly injured leaving her with difficulty walking for the rest of her life. However she did participate in many soaring operations into the 1960s in New York, Texas and Minnesota. She returned to Long Island to be with her father after her mother passed away. 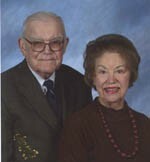 Then she started commuting to Elmira to soar and her long time friendship with Paul Schweizer deepened. In December 1967 she became Mrs. Paul A. Schweizer. The first lady of soaring was now united with one of America's best known soaring personalities. Ginny was a recipient of the NAA Katherine Wright Award in 1996. She holds Silver #86 (1947) - the first Silver Badge awarded to an American woman. Ginny stands tall as one of the pioneers who paved the way for soaring as we know it today. Her accomplishments and many contributions to soaring will keep her forever in our hearts.